HOUGHTON, MICHIGAN – The National Park Service (NPS) announced Friday the beginning of implementation of the Record of Decision of the Plan to Address Wolf Presence on Isle Royale National Park that was signed in June. 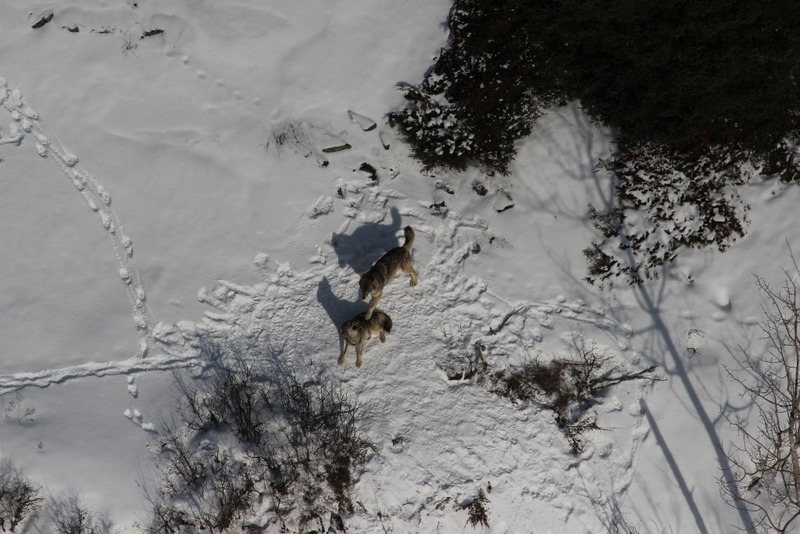 This fall, the NPS working with partners and other agencies, plans to translocate up to six wild wolves from the mainland to Isle Royale National Park during the first phase of a three to five year effort to relocate up to 20-30 wolves to the isolated island park. This many wolves are needed to establish adequate genetic variability to accomplish the overall goal of restoring predation as a key part of the ecosystem on the island. Many details and logistics such as aviation support and trapping expertise are involved in such a complex operation, and this project could not take place without the assistance of multiple partners. Source populations for the wolves are in Minnesota and Michigan, and may include Canada in future operations. The NPS is partnering with the Grand Portage Band of Lake Superior Chippewa, Michigan Department of Natural Resources, Minnesota Department of Natural Resources, US Fish & Wildlife Service, USDA Wildlife Services, US Geological Survey, University of Minnesota, and NPS units in Montana, Colorado, Nevada and Florida, NPS Midwest Regional Office, Washington Office and Biological Resources Division. Weather dependent, the operation will start the last week in September and is expected to conclude by early November. This phase of the operation will transport two to four wolves trapped in Minnesota and up to two wolves from Michigan to Isle Royale by amphibious aircraft or boat. All wolves transferred to the island would undergo a health screening by a wildlife veterinarian to determine suitability, and will be collared with GPS collars. The NPS plans to monitor ecological conditions and factors such as predation rates, genetics, moose-wolf ratios, and terrestrial and aquatic vegetation impacts to evaluate project success. The park will also be working with partners to expand education and research programs. The National Parks of Lake Superior Foundation recently began a campaign to develop educational material and documentaries for youth (http://www.nplsf.org/wolves.php) focusing on the biology and complexities of the reintroduction and the results. Over the summer the park reached out nationally to academic researchers about their interest in expanding and integrating research opportunities represented by the restoration of predation on Isle Royale. A consortium for data sharing to advance more complex ecosystems studies is being considered. Updates to the public will be provided as the relocation efforts move forward.